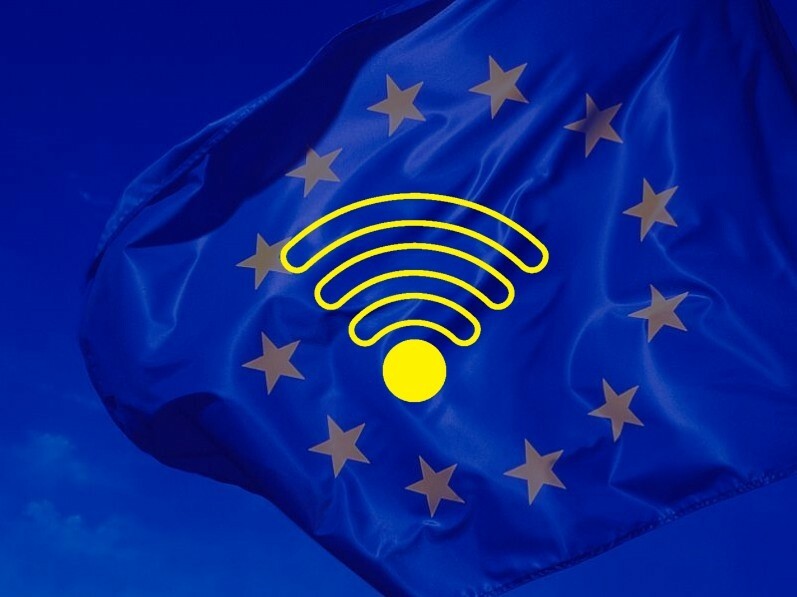 The European commission is working on a new project that aims to offer free Wi-Fi for citizens in the bigger European cities by 2020. This project is made of two parts: one, the creation of free Wi-Fi hotspots all around Europe and two, the propagation of the 5th generation wireless system (5G). Although this project is very challenging, the European Commission is motivated and plans o deploy free hotspots in the main public areas of the biggest European cities, in order to offer the possibility of free internet access for all EU citizens. The name of this new transnational Wi-Fi network will be “wifi4eu”. It will be set up according to the digital technology convention in which Jean-Claude Juncker declared that every individual has to have the possibility to access to the internet, regardless of where he lives and how much money he earnss. The goal is that every family whether they are living in urban or rural area , can access the internet at a minimum speed of 100Mbps. To kickstart this project, 120 million euros should be invested in the deployment of free Wi-Fi hotspots throughout Europe. local entities will be charged with the network installation and the maintenance costs. About the propagation of 5G, the European regulation prescribes that at least one city per each European country being equipped of the 5th generation wireless system. This propagation plan will be put in place in 2018, according to the European Commission. The European Commission sees even beyond the objectives of the regulation and hopes that by 2025, 5G will be propagated everywhere, particularly in train stations, airports, and other important public spaces. The benefits from 5G deployment in Europe is estimated to €113.1bn annually by 2025, and the creation of 2 millions new jobs. Nowadays having or not an access to the internet can be a source of inequity and can clearly create a gap between those who have internet and those who do not. This European project could be a solution to bridge partially this digital gap among population. Nevertheless, it remains to be seen how this free Wi-Fi access will be configured by the authorities. For example, the time period of a session on the “wifi4eu”, the content filter, the authentication system etc.